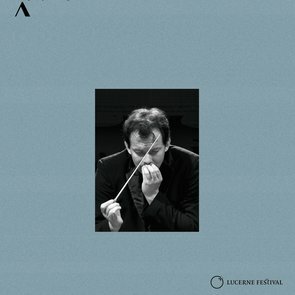 Talk about a challenging assignment: Following the death of Claudio Abbado, the Latvian conductor Andris Nelsons took over the LUCERNE FESTIVAL ORCHESTRA’s four concerts during the summer of 2014. For the opening concert, which is now being released on DVD, he conducted an all-Brahms program that Abbado himself had conceived and planned. The young maestro met the challenge with flying colors – and the audience showed its appreciation by giving a standing ovation. “Nelsons didn’t attempt to mimic Abbado’s manner at all and forced nothing; instead, he did what a good conductor can do with a very fine orchestra: he focused on the dialogue, listened closely, emphasized the details that had been intensively rehearsed, rallied the momentum when the music was at times in danger of stalling,” wrote the Tages-Anzeiger. And for their part, the members of the LUCERNE FESTIVAL ORCHESTRA responded enthusiastically: “He senses every single player and carries him or her with him on a tremendous wave of inspiration,” declared the concertmaster Stefan Breçuninger.